Announcing Special SUNDAY Foil Camps with Italian Olympic Medalist Matteo Zennaro. Learn HOW Italy has produced many of the BEST Foil Fencers in the World with their proven coaching system. Camp is 11am to 4pm (please bring your lunch), $100 per day (or Free for Durkan Tier 2 Foil Members). You can attend one or all three sessions, different topics will be covered each day. A limited number of Private Lessons with Matteo are available. The purpose of the Durkan Fencing Program is to provide a unified method fencing instruction to all athletes that will result in general athletic development (i.e. coordination, balance, agility, speed and general fitness) and promote the mastery of fencing specific skills (i.e. lunge, parry or point-thrust) with a deep understanding of the techniques and tactics required to score more points and win more fencing bouts. We offer two training options for fencers: Tier 1 (Beginner/Intermediate) and Tier 2 (Competitive). Two tiers allows us to offer the most comprehensive fencing program to our competitive students of all ages and levels and also offer a less time consuming class schedule as an option for other students. The classes offered in tier 1 and tier 2 will contain the same content of warm-up, stretching, sabre footwork, drills and bouting. The main difference between the classes is the amount of days/time offered. Since Tier 2 offers more class time, the coaches will be able to go into more detail with each fencing concept. Tier 2 Students will also receive quarterly fencing specific evaluations and feedback, and personalized tournament recommendations. Tournament coaching is available for Regional, National and International competitions, for additional fees. Three female athletes, all of different ages and levels, come together over a shared passion for the sport of fencing. Director | Michelle C. Yu Producer | Lisa W.
For those of you who are new to Club Fencing, we encourage you to visit other fencing clubs and compare facilities before you join. All fencing clubs in New Jersey charge a yearly membership fee to cover the costs of maintaining a safe and functional fencing room. We strive to provide the best fencing facility in the country. Not only does our fencing room have the most regulation size fencing strips it is also fully air-conditioned and professionally cleaned regularly. We also provide amenities to our members such as: two comfortable lounge areas, locker rooms, Wi-Fi, a water fountain with bottle filler and coffee for parents. The required yearly membership fee of $699 allows us to maintain the club for all of our members. All DFA Members receive a 20% discount on fencing equipment at Blue Gauntlet. An NCAA National Champion, Daniel Bass began his coaching career in 2009. During that time, he has coached at various fencing programs in the New Jersey area and has helped produce students who have gone on to compete for some of the nation’s most prestigious collegiate programs, earned medals at the local, regional, and national levels of competition, and have competed at the Cadet/Junior World Championships. Currently, Dan is the foil coach for the Fairleigh Dickinson University Women’s Fencing Team, an NCAA Division-1 program. Dan started his fencing career as a member of Parkway Fencing Club in his hometown of St. Louis, Missouri. In college, Bass competed as a member of The Ohio State University’s fencing team, where he earned an NCAA National Championship title, as well as three Midwest Conference Championships. Additionally, Bass has significant competition experience at the local, regional, and national level, having earned finals, medals, and top placements throughout his career as an athlete. Jed was a 2012 US Olympic Foil Coach at the London Games. He began his coaching career in 2007 after seven years as a member of the US Men’s Foil National Team. As a competitor, Jed was a 2004 Olympian (earning a team 4th place finish in Athens), a two time National Champion, and an NCAA Individual Champion while at Columbia University. He was a bronze medalist at the Senior World Cup in La Coruna, Spain and a team Gold Medalist at the Pan American Games. As a collegiate competitor, Jed was an All-American and All-Ivy fencer, the winner of the Connie S. Manniaty Award for the most outstanding senior athlete at Columbia. 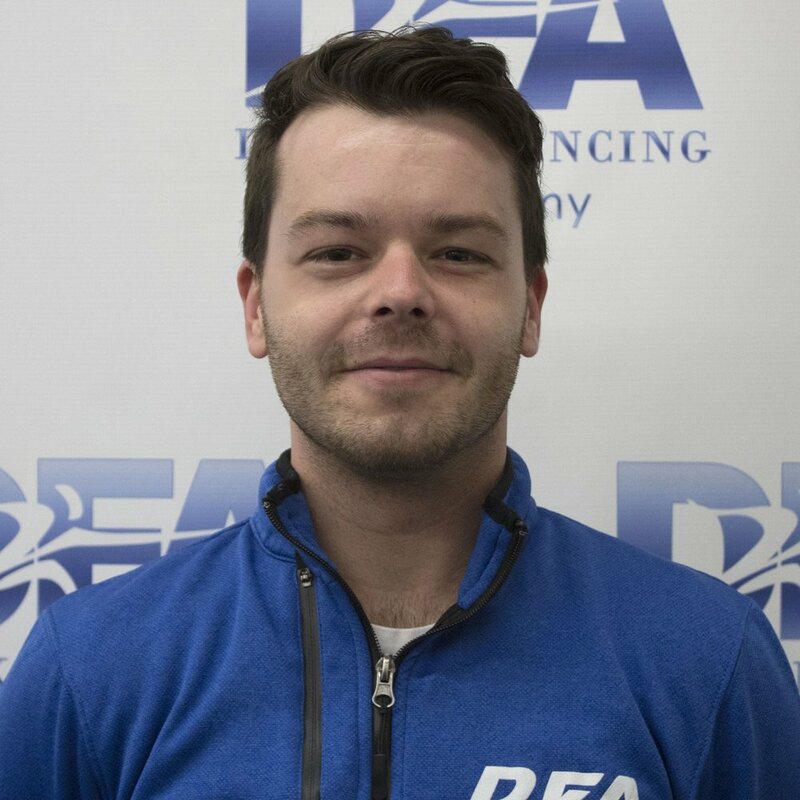 Jed began coaching Men’s Foil National Team member Race Imboden at the age of 14 and coached him to a top 8 finish at the Senior World Championships, a bronze medal at the Paris CIP World Cup, an Olympic berth, and a Senior World Ranking as high as 4th in the World. He has produced Senior, Junior, and Cadet National Champions in addition to Senior, Junior, and Cadet World Team Members. His students have earned medals at Cadet, Junior, and Senior World Cups. Jed is currently the Foil Coach at Harvard University. Coach Alberto began fencing at age 16. Originally from Mexico City, Alberto and his twin brother moved to New York to pursue engineering degrees. While a college student he trained under Coach Jed Dupree at Empire United in New York for three years. He was Cadet and Junior National Champion of Mexico as well as the runner up for Senior National Champion. Inspired by Coach Jed's move back to New Jersey, he transitioned from athlete to coach in 2016. He was also coach of the New York Athletic Club youth program and Regis High School.